Print Design | Savage Creative Solutions in Shreveport, LA. 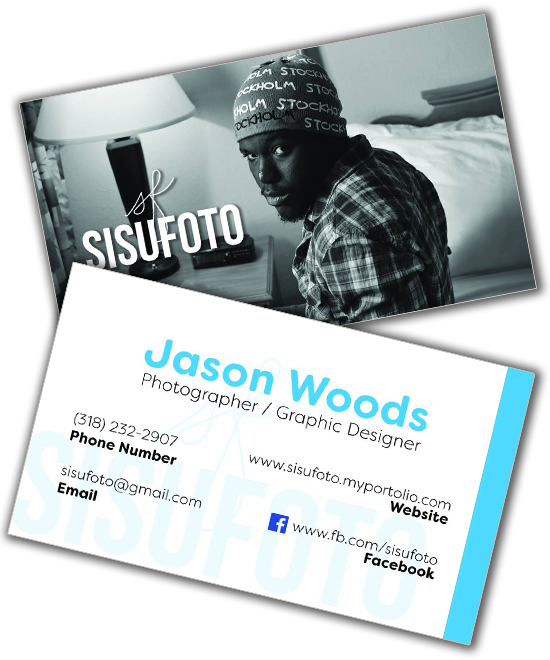 Whether you need business cards, posters, brochures, or any other print design services we’ve got you covered! We ensure each of our clients gets a unique design that not only matches the branding of their business but also communicates how exceptional their product or service is compared to competitors. We can also handle the printing of your products as well! Our contract with partner printers mean you will get the most affordable, high quality printing available. And while our main office is in Shreveport, LA we can ship our products to clients around the world. No product is too big or too small for Savage Creative Solutions! Whether you need one flying banner or 10,000+ flyers we can handle your job efficiently, professionally, and with the utmost concern for quality. We understand that when you trust SCS you are essentially trusting us with your livelihood and we do not take it lightly. We can design yard signs, flags, flyers, print banners, posters, event tickets, door hangers, invitations, tabletop displays, window graphics and more! If your business needs it we’ll find a way to get it for you. Don’t see a product you need? Use our form to send a quick email to learn more. We can also provide any stands, poles, or displays you need to accompany your design. We can put your logo on just about anything you want! Our promotional items are very affordable and offer a unique way in which business owners can spread awareness about their brand and services. We’ve got t-shirts, magnets, notepads, car magnets, bumper stickers, buttons, mugs, tote bags, and more just waiting for you! One look at our latest print design work and we’re sure you’ll understand how we can transform your business’ presence like no other.